The Fairfax County Park Foundation supports the Fairfax County Park Authority. Webclearly designed, created, and maintains the website. We also manage their Facebook Page, Twitter account and LinkedIn. Lydia Patrick expanded the reach of the Park Foundation while minimizing the resources required to maintain the site. It was a big job with a site redesign and the need to coordinate changes with Park staff in order to ensure a smooth transition. The expanded website includes many new features and information that is frequently updated. She helped institute complementary messaging on the Park Authority and Park Foundation Facebook and Twitter accounts. Her ability to write compelling content, her ingenuity and her dedication makes an important difference. Van Ness North is a cooperative apartment house located at 3001 Veazey Terrace NW in Washington, DC 20008-5454. Thanks for designing a very user-friendly web site. "I am in my thirty-ninth year of service representing the 36th District in the Virginia House of Delegates." Webclearly designed and created the website. We also taught the Delegate's staff how to update the content. Working with webclearly to design our new website was the perfect choice! We are very pleased with the result, and the process was smooth and instructive. Lydia Patrick provided the guidance and training we needed for developing the new site and maintaining it after launch. 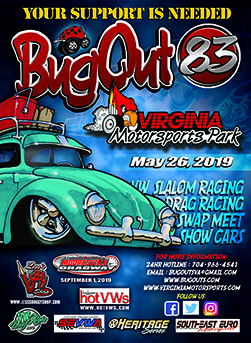 The official website for BugOut VW car show events. BugOut of Virginia and North Carolina is one of the largest total all-Volkswagen show events in the country. Webclearly designed, created, and maintains the website. The InterService Club Council of the City of Fairfax, Virginia is a membership organization devoted to the exchange of information, issues and ideas for our mutual benefit and for the betterment of the larger community. Webclearly designed, created and maintains the website. Our Community non-profit group needed a presence on the Web. We asked Webclearly for advice and they provided our 16 member organization with a colorful informative website in a timely manner and at a very reasonable price. Just what we needed. We look forward to continuing this relationship as we go forward with updates. Retrofitted Spoils offers distinctive custom furniture pieces by Mandi Dillow. "You can find treasures in things that are lost and forgotten. In a world engulfed in consumerism, I love being able to salvage a discarded object and turn it into a coveted piece of art work without spending a fortune." Webclearly designed and created the website. Leesburg Veterinary Internal Medicine provides state-of-the art medical care for animals so they and their families can lead better and longer lives together. 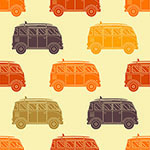 A Summer Camp on Wheels is a traveling camp for children in the summer months. 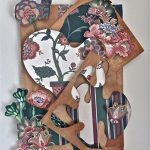 Rose is an artist working in acrylics, 3 dimensional collages, and wood wall art. She lives and works in the Van Ness area of Washington, D.C.
APinteractive LLC is a social media management company with a focus on managing authors' digital footprints: social media platforms, blogs and websites, with an emphasis on content strategy so you can engage and expand your community. Webclearly designed and created their website. Lydia helped me build a site for my LLC from the ground up, and she had the vision to know exactly what I needed before I knew I need it myself! Her expert advice combined with her diligent work ethic made the process a pleasure, and the final site provided a platform for my new company to succeed. The mission of Northern Virginia Senior Olympics (NVSO) is "to promote health, fitness and psychological well-being for senior adults by providing opportunities for participation, competition, self-improvement and fellowship through various athletic and recreational events." Working together with the local Northern Virginia parks and recreation departments and other agencies, the Olympics have been a continuing success since 1982. Webclearly will begin work on the website in 2019. The Giving Circle of HOPE makes a difference in Northern Virginia by strategically investing members' philanthropic dollars, learning about important issues, helping others, and having fun with a purpose. Members contribute time, talents, and money and collectively decide how to use them to create positive change. Webclearly designed, created and maintains their website. Working with Lydia was a pleasure. We wanted a complete redesign and were particular about our wishes. Lydia was patient, gentle and thoughtful in her guidance through the design process. Her knowledge of responsive design was invaluable. We are delighted with the final result and will continue to work with her through the next phases. Symbiosis seeks to "improve human performance in the workplace by specializing in the design, development and delivery of organizational and human resource development initiatives." Webclearly will begin website design and development in 2019. Fairfax County Office of Public Private Partnerships engaged webclearly to design and create a new website for the agency. Mahn Healthcare is a non-profit organization located in the United States created to serve the underserved communities of the US, the Caribbean, Latin America, and Sub-Saharan Africa to improve their quality of health. Accessing Disability Services provides personalized responses to individuals of all ages and/or their families across the range of disabling conditions, needs and interests. Lydia Patrick has made my website a great success. What I needed was someone with the technical skills to build a website plus the communication skills to advise me on how to most effectively get my message across to my audience. Lydia brought her skills to my needs and created a website that gets compliments from people I don't even know -- yet. Lydia is a joy to work with, easy to get along with, and responsive to my questions and suggestions. Her prices are very fair and the results speak for themselves, which is the idea after all. Leadership Loudoun provides on-site, experiential knowledge of Loudoun County in Virginia to transform a diverse and highly motivated group of individuals into a network of leaders who are equipped with knowledge and commitment to benefit the entire county. Its 9 month signature program strengthens leadership competencies in areas such as relationship building, servant leadership, integrity, innovation, and appreciation for diversity and inclusiveness. Webclearly designed, created, and maintained the website. The Global Community Services Foundation supported communities in Viet Nam and Myanmar (formerly Burma) for over 20 years. It ceased operations on December 31, 2017. Webclearly designed, created and maintained the website from 2013 through 2017. We also managed its communications including Constant Contact, Facebook Page, and Twitter, as well as Annual Appeals and Annual Reports. What did we ever do without Lydia and Webclearly? Global Community Service (GCSF) started working with Lydia on a very limited basis – having had many false starts before being introduced to her. It did not take us long to realize that Lydia is the real deal – she is professional, dependable, knowledgeable, respectful and financially prudent. Now we depend on Lydia and Webclearly for so much – everything from redesigning our website –to helping us with events, annual reports and annual appeals. She has given our social media sites both focus and consistency – helping to share our message clearly and concisely. Nothing is ever too big or too small for her to help us and/or guide us. Lydia is one of the rare but real treasures. We highly recommend her and Webclearly. Ashraya-India.org is a charitable organization registered in India and the United States. Its objective is to support programs that help in the uplifting of poor women in India. Webclearly changed the code structure of the website from php to html. We taught the owners how to update the content. We created our own website for our small nonprofit business. Lydia came to the rescue when we had trouble updating, improving, linking, adding photos, and inserting menu bars. THANK YOU LYDIA! Grand Designs Signs proudly serves Northern Virginia and the Nation's Capitol with custom signs and graphics. Other products include: vehicle graphics, store-front signage, banners, sidewalk signs, plaques, and yard signs. Fredericksburg Today provides a comprehensive account of events and issues in Fredericksburg, Virginia and the surrounding region. Webclearly designed and created the original site. We also taught staff how to update and maintain the website.